Get the most up-to-date commercial blender on the market, the Blendtec Stealth 885 at the best online price for commercial customers for instant buy. Now NEW with snaps for better operation. 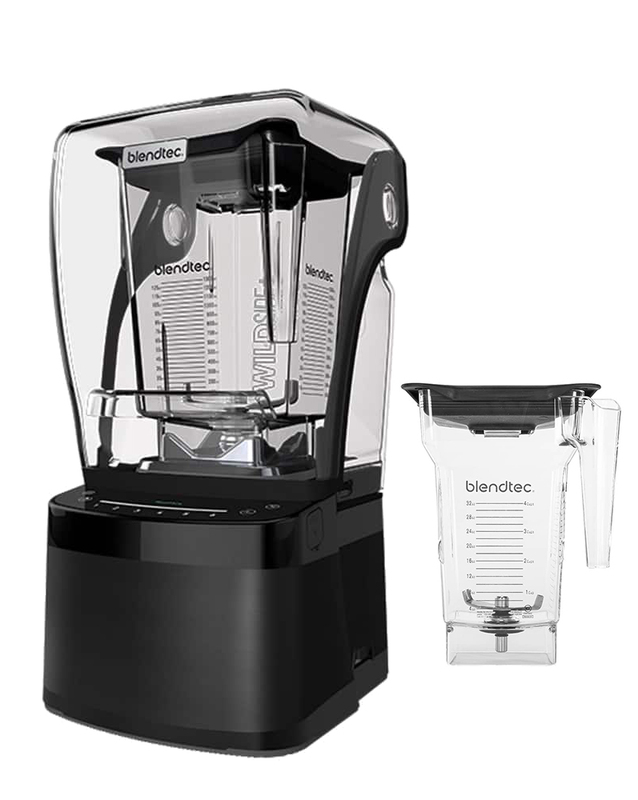 NEW: The Blendtec Stealth 875 is no longer available, the Blendtec Stealth 885 is the current model. Reason: The Blendtec Stealth 885 now has push buttons that are much better suited for use in gastronony. 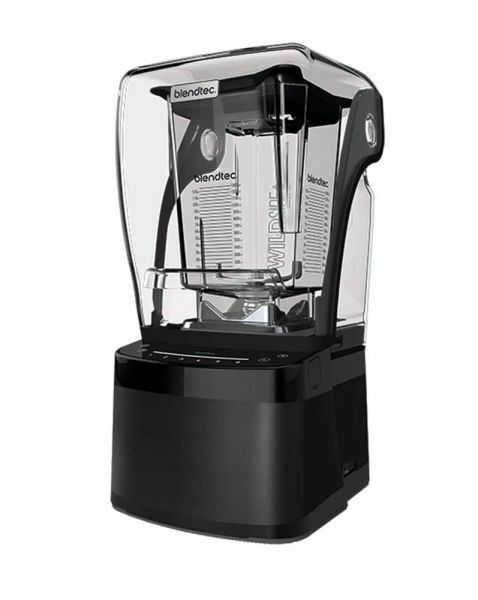 Blendtec Stealth 885, the ultimate, quiet commercial blender on this planet! Winner of the national restaurant association's prestigious 2013 kitchen innovations award, the Stealth 885 combine durability, power, and a wealth of exciting features. Simply put, it's the quietest, most advanced commercial blender on the market. The Stealth 885 is Blendtec‘s newest invention and the most quiet blender ever! The Stealth 885 includes a sleek sound enclosure, proprietary sound dampening and airflow innovations. These features allow it to operate at a sound level comparable to a normal conversation without compromising the power Blendtec®is famous for, proving you can still have industrial strength power without industrial strength noise. The noise insulation is incredible! Its technology is from the Blendtec Stealth 885, which is used for commercial use for a long time now. The customer should not be bothered by the noise of the blender, that was the idea behind it. The Stealth 885 comes equipped with 42 preprogrammed cycles and a USB port. For the ultimate in customization, users can create custom drink programs with the online BlendWizard™. This tool can create an unlimited number of blend cycles, and up to 14 can be stored on the blender, a personal introduction and hello text if you‘d like. The standard blend cycles you can also rename, which is pretty cool. Your Blendtec Stealth 885 gives you the ability to customize it to your liking – how amazing! The new control buttons are intuitive and ensure perfect handling in a fast workday. The Blendtec Stealth 885 raises the bar when it comes to performance, design, functionality and significance. Our Blendtec products are custom build for the European market, by Blendtec itself. All Blendtec‘s we sell have a Schuko plug and run on 220/240 Volts. Related links to "Stealth 885"
What is the difference between the Blendtec Stealth and the Blendtec Pro 800? The Blendtec Stealth is a blender for the commercial sector for the professional production of smoothies and shakes, the Blendtec Pro 800 is a blender for home use. The Blendtec Stealth has the full range of functions and thus the USB area is also released for independent programming, which is not the case with the Blendtec Pro 800 because it can only be operated via the touchpad. Is the Blendtec Stealth the quietest appliance / mixer for the commercial sector? Yes, the Blendtec Stealth is the quietest device / mixer on the market thanks to its soundproofing and well-insulated body. In addition, noises are perceived in the Blendtec Stealth very pleasantly soft, which makes it especially valuable for the bar area. Customer evaluation for "Stealth 885"